Faster, lighter, and smoother than ever, the POCO F1 aims to help you achieve new levels of greatness regardless of whether you’re gaming, working, or watching videos. It is for a reason that this new Xiaomi addition is labelled the ‘Master of Speed’. Meet the POCO F1 – the first flagship smartphone from POCO by Xiaomi. The POCO F1 sports Qualcomm flagship Snapdragon 845 processor, an octa-core CPU with a maximum clock speed of 2.8 GHz which is supported by 8 GB of LPDDR4X RAM. It is coupled with a LiquidCool Technology that allows the device to sustain peak performance for a longer period of time. On the back, it features a 12MP + 5MP Dual Pixel AI dual camera setup. The main camera sensor features 1.4 um pixels, Dual Pixel Autofocus, and Multi-frame noise reduction. On the front, it sports a 20 MP high-res front camera and IR Face unlock. POCO F1 also boasts of a massive 4000 mAh (typ) battery with Quick Charge 3.0 to keep you going all-day long. This smartphone runs on the Android v8.1 (Oreo) operating system and Octa-core (2.8 GHz, Quad core, Kryo 385 + 1.8 GHz, Quad core, Kryo 385) processor along with 6 GB of RAM for an outstanding and glitch-free performance. 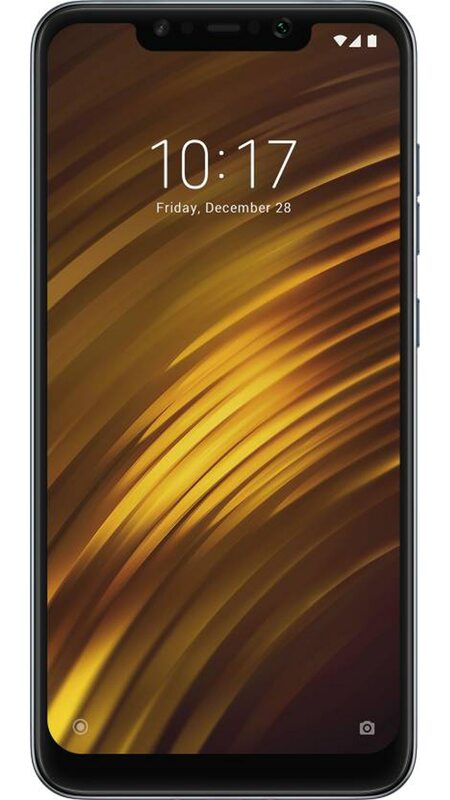 Packed with a great processor and an excellent configuration, Xiaomi Poco F1 is a premium smartphone in India having all the tick marks for a myriad of advanced specifications it comprises of.